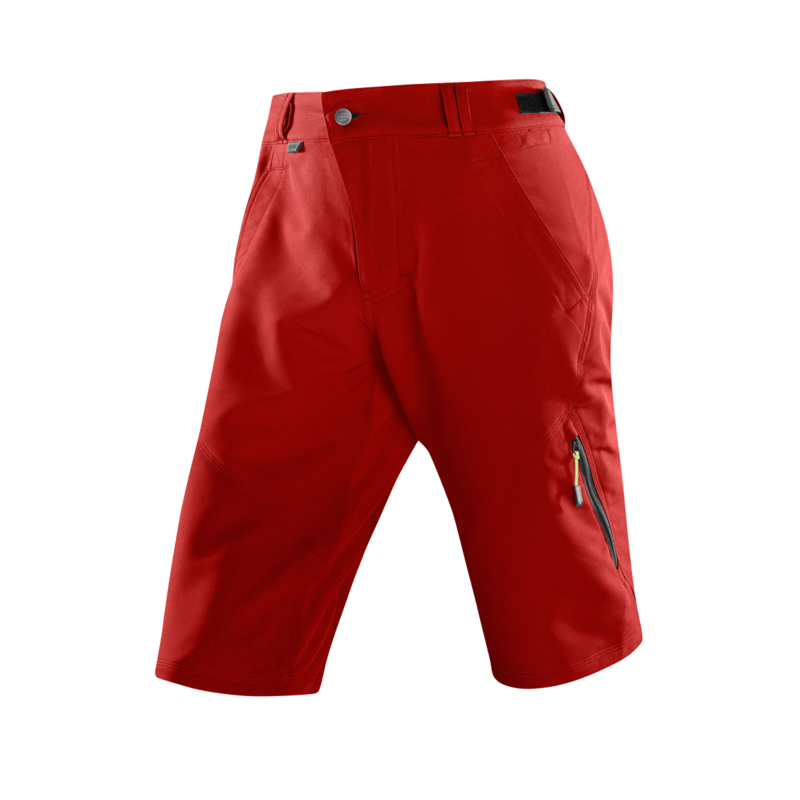 The Altura Attack One 80 mountain bike shorts have been designed and constructed to cope with all of the demands of hard off-road riding and unpredictable conditions. This lightweight summer short featuring breather vents to keep you cool and comfortable includes a hard-wearing Cordura seat panel to help prevent abrasion. Two easy access pockets with an additional zipped pocket means you can securely store your valuables while Altura Snap™ technology on the hips allows you to connect the Attack One 80 to Altura’s padded Hammock inner short making it even more comfortable and user-friendly. I love these pants, they are super comfortable with heaps of secret pockets, will most likely get another set, The red is not as red as on the picture. I'll call it a Salmon redish, still cool and highly visible though.